It’s a New Year, which for many in the design world only means one thing – time to find out the new ‘Colour of the Year’ from Pantone®. Every year since 1990, the colour experts at Pantone announce which colour will be ‘big’ for the year ahead of fashion, beauty, industrial design, home furnishings and interiors. How do they decide? Well, twice a year the company holds secret meetings with representatives of various international colour standards groups, and after countless debates and presentations a colour is chosen which captures and connects with the zeitgeist of the moment. This year’s colour? ‘Marsala’ – yes, named after that fortified wine, hailing from the island of Sicily in Italy. Quite the contrast to last year’s shade – the bright and vibrant ‘Radiant Orchid’ – Marsala is characterised by earthy hues of reds and browns. The choice has already caused a bit of controversy amongst designers – but we like it’s understated richness, and if 2015 is anything like last year (where Radiant Orchid and other similar shades dominated our homes, magazines and catwalks), we predict it’ll be seen everywhere, particularly in the Autumnal months of the year. Why not use Marsala to calm down an overly vivid room – or perhaps include it within a scheme of earthy greens for an on trend ‘natural’ palette? 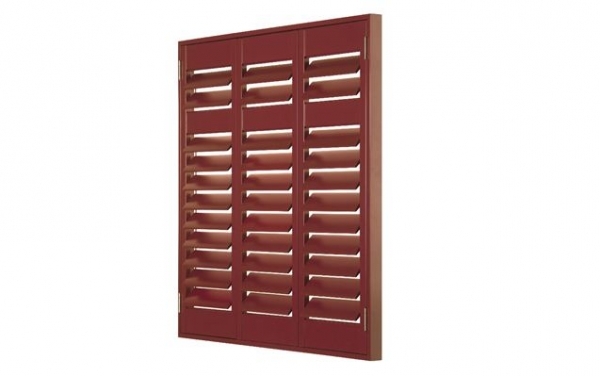 You can incorporate it into your home perfectly by using our colour matching service – simply send us a sample of Marsala (or any other colour you like) and we can create you a bespoke shutter solution that will create a stunning, on trend impact in your home.